"The life we led, our follies and our deeds of heroism, our provocations, however 'polemical' and aggressive they may have been, were all part of a tireless quest for an anti-art, a new way of thinking, feeling and knowing." 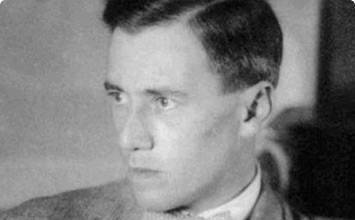 A cosmopolitan figure, Hans Richter's very career embodies the history of modern art from World War I to the 1960s, Dadaism to Constructivism, Surrealism, and Fluxus. As editor of the seminal journal G, he created a vital link between Western European art and the Soviet avant-garde in the 1920s. Even more importantly, he was a pioneering filmmaker, among the first to make purely abstract cinema, and a mentor to American directors of the 1950s and beyond. Personally, Richter experienced the 20th century's political nightmares first-hand, from combat in World War I in which he was severely wounded, to persecution by the Nazis and artistic censure in the Soviet Union. He never saw his art as separate from the conflicts and sufferings of humanity, but instead devoted his art to the creation of a better society. Profoundly influenced by music, Richter was able to capture the rhythmic nature of abstract forms in paintings, drawings, and films, and to synthesize the oppositions of dark and light, and organic and geometric shapes by using counterpoint like a musician. Richter also collaborated with major composers of his time and considered their scores essential to his films, pioneering the fusion of image and sound in cinema. Though Richter made both representational and abstract art, he created an abstract visual language that was universal, able to convey not only aesthetic experience but revolutionary political ideas as well. He transcended 19th century concepts of painting through film, setting static shapes into visual movement. This dynamism of film, made possible through new technology, for him embodied modernity itself. Richter used a synthesis of abstract forms, Dadaist collage, and the ancient medium of scrolls to create epics of contemporary history, despite the fact that many modernist artists considered history painting to be outmoded. Richter was born in Berlin into a prosperous Jewish family, one of six children. Richter began to draw in his early high school days, producing several portraits of his schoolmates as well as sketches from nature and urban life. Richter's mother, Ida Gabriele, was an accomplished harpist and pianist and instilled a lifelong love of music in her son. After graduation, Richter decided on a career in art, but his father, Moritz Richter, insisted that he train as an architect. In preparation for a career in architecture, Richter endured a two-year stint as a carpenter and joiner's apprentice in his father's business, the "Mississippi Grass Twine Company" of Berlin. This self-portrait is one of eleven Visionary Portraits that Richter exhibited at the Dada exhibition 'Die Neue Kunst' ("New Art") in Zürich in 1918. Employing an Expressionist style, Richter painted the works in this series at twilight with no artificial lighting. His intention was to paint when colors were 'indistinguishable' to the eye on the canvas. He claimed that this would provoke an expression of spontaneity, still governed by chance. (Richter had been deeply influenced by the experiments in chance carried out by his close friend and fellow-Dadaist, the artist Hans Arp, one of whose most famous works is the 1917 Collage with Squares Arranged According to the Laws of Chance.) Richter recalled that to produce the Visionary Portraits he put himself into an: "auto-hypnotic trance... thus the picture took shape before the inner, rather than the outer, eye allowing color to freely flow and the hand to work almost unguided.") Richter's use of automatism and his search for a deeper reality beneath the everyday anticipate the concerns of the Surrealist artists of the 1920s, whom Richter later claimed had "swallowed and digested Dada." Like many major modernist artists in Germany, Richter's use of strong colors and expressive brushstrokes would change in the aftermath of the First World War and throughout the 1920s to a more linear, objective, geometric style. Richter's series of Dada Heads are some of the most recognized works to emerge from the Zürich period of Dada. This series of drawings and woodcuts explored the limits of portraiture, often going beyond all recognizable representation of the subject to achieve pure abstraction. Many of the drawings have a free, gestural quality, quite liberated from traditional portraiture. The Dada Heads series as a whole records Richter's experiments with structure, composition, and counterpoint. "More and more of the object," Richter wrote, "got lost in the necessity to balance the black with the white (paper), to establish a simple polar relation." This incredibly influential early abstract animation was the result of Richter and his partner Viking Eggeling's foray from the static canvas to a moving one. Lasting only 3 minutes, the film shows squares and rectangles moving across and within the flat plane of the screen in a mesmerizing rhythm. They move forward, backward, vertically, and horizontally. The theme is of contrast - of size, light, and angle, of positive to negative, from black to white, foreground to background, and of change - the forms grow, break apart, and finally fuse together into pure light. Everything is interaction, there is no narrative to speak of, though the ceaseless interplay of forms does have a dramatic quality, like a cosmic clash, with one shape seeming to dominate. The forms have a striking similarity to Russian Suprematist painting, such as The Black Square (1913) by Kazimir Malevitch. 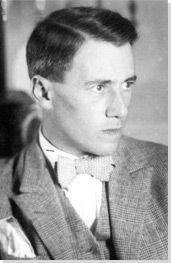 When Malevitch came to Berlin in 1927 (accompanied by a Cheka agent to prevent his defection), he proposed collaborating on a film with Richter that would explore Suprematist form and theory. Though Malevitch produced a script, the film was never made. Richter published his magazine "G" (Gestaltung - meaning form) to share his theories on film, architecture, design, and even fashion. The journal was co-edited by Richter with the great Russian Constructivist graphic designer, El Lissitzky and Bauhaus artist Werner Graff. G became one of the key Constructivist journals in Europe in the 1920s, alongside Ma (Hungary), De Stijl (Holland) and El Lissitzky's own Berlin-based publication, Vesh-Objet-Gegenstand. G constituted a vital link between central European modernism and the Soviet avant-garde. In this short film Richter shifted from the abstract animation of Rhythmus 21 (1921) to pioneer a dazzling technical skill. He created a world where "objects are also people and follow their own laws." Indeed they do. Flying hats, tea cups, beards, appear and disappear, objects and human characters move in reverse. Richter uses trick shots, overlays, and fast motion to make trees bloom, he uses slow motion to show tea cups crashing to the floor, reverse motion to show water retreating back into a hose. He revisits his obsession, as seen in the earlier Dada Heads series, with counterpoint and opposites through light/shadow, negative/positive, and superimposition. This epic 16-foot long scroll-collage records the key turning point of World War II - the Soviet victory in Stalingrad. It had been one of the most brutal episodes of the War and the first serious setback for the Nazi forces on the Russian front. Declared a "degenerate artist" by the Nazis and unable to return to Germany for being Jewish, Richter had kept newspaper clippings of the war, calling them "proclamations of inhumanity". He incorporated the clippings in the scroll under the geometric forms, and- as such the work reads from left to right, including headlines such as "Workers Battle For Stalingrad", "Stalingrad Blows Up Its Bridges," and ending with the clippings "Nazis' Stalingrad Chief Captured" and "Stalingrad Free." The scroll format had been used by Richter in the 1920s for his film experiments with Viking Eggeling. In this stunning full-length experimental film the protagonist sees his dreams reflected in his eyes and realizes "if you can look inside yourself, you can look inside anyone!" As such, he sets out to sell dreams. It features seven dream sequences by Fernand Léger, Alexander Calder, Marcel Duchamp, Max Ernst, Man Ray, and Richter himself, which explore fantasy and desire, to an innovative score by Louis Applebaum, Paul Bowles, and John Cage. It is dream-like in its soft colour palette, and deep-focus cinematography. Although the film dealt with dreams, and featured Surrealists - Andre Breton did not accept it as truly Surrealist due to its narrative. The final episode is Richter's - where a blue man represents his universal man. He sits at a card table but another character objects: '"but who would want to sit at a table with a blue man?" This may reflect themes of collaboration and displacement - the Nazi persecution of the Jews and modernist artists, and the war-imposed exodus of his fellow artists from Europe to New York. Commenting on the film, Richter said it was made with: "my old friends from our beloved but bereaved Europe: Calder, Duchamp, Max Ernst, and Man Ray - the cooperation of two Americans, two Frenchmen and two Germans, in the then cultural center of the free world." The title of this film, 8x8, refers to the number of squares on a chessboard. Richter called chess both an "intricate pattern" and a "fantastic game." Marcel Duchamp, Max Ernst, Dorothea Tanning (all three of whom appear in the film) as well as other Surrealist artists were fascinated by chess. Duchamp in particular became a ranked, Olympic-level chess player after famously "quitting" art in the 1920s. The Surrealists were fascinated by chess. Chess had been used as a metaphor from Lewis Carroll to Freud due to the symbolic relationship of chess to life, a game of risk, skill, and potential transformation (a pawn can become a queen).